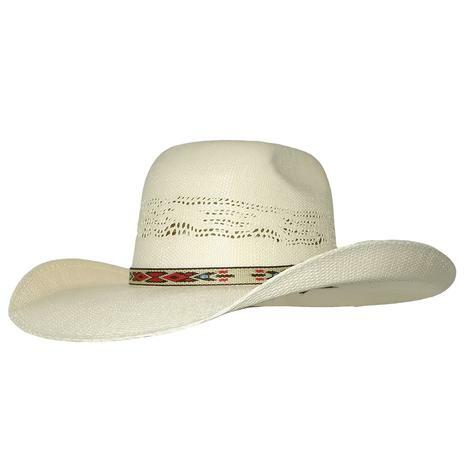 This youth western hat by Resistol has a 4.25 inch brim with a punchy 5 inch crown. Made to fit size 7 or smaller. Get this one for your little buckaroo today! 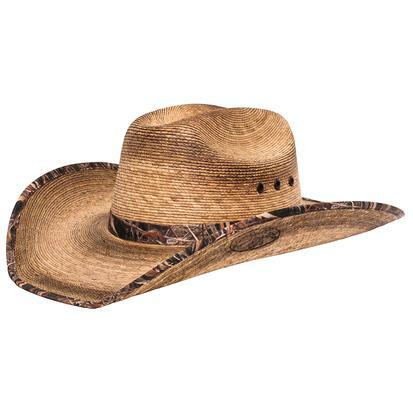 This Young Guns Jr straw cowboy hat by Resistol has a natural color and features a 4" brim with a 4 3/4" vented crown. Aztec feathered hatband is included. The Mallard Jr. is from the Duck Commander line from Restistol Hat Company. It features a camo bound edge with matching hat band. This hat is for every little hunting enthusiast in your family. 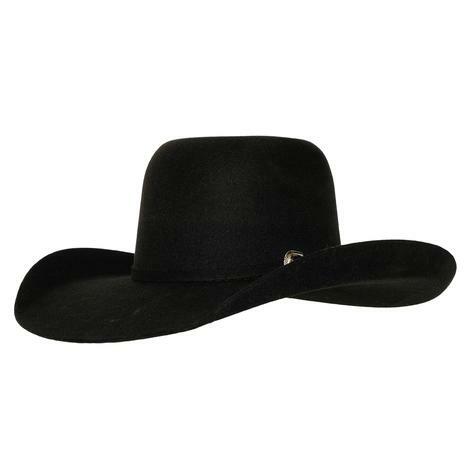 This is a great palm cowboy hat built to the same standards as the adult hat in a size just right for the next generation. The hat holds in place because of its elastic headband. Enjoy all the great outdoor activities with a cowboy hat that is ready for the next great adventure.